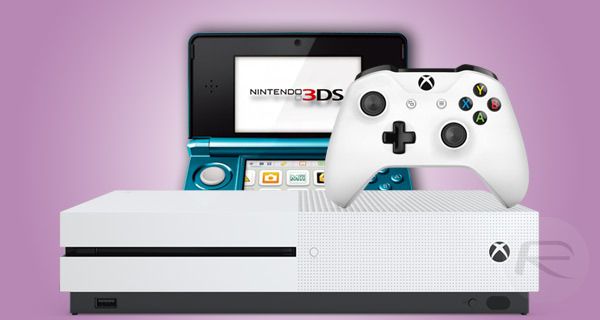 Here’s a guide on how to install and play Nintendo 3DS games on your Xbox One or Xbox One S game console. Did you know that it is actually possible to play your Nintendo 3DS games directly onto an Xbox One using a great new Universal Windows Platform (UWP) app? Well, if this is news to you, welcome along for the ride. We’re going to take you through the process of getting those 3DS games onto the big screen. This isn’t your average out of the box “it just works” scenario, so be prepared for a little bit of tinkering. If you are up for the challenge, carry on reading below. Step 1: First and foremost, you’re going to need a Nintendo 3DS handheld running a custom firmware. If you don’t have custom firmware installed on your 3DS yet, you can do so by following the instructions over at 3ds.guide. Step 2: With that custom firmware in place, you’re going to need to install a little piece of homebrew software on your 3DS which enables the device to take screenshots and run modifications. Check out details on how to install NTR homebrew software on 3DS here. Step 3: Next, you’re going to need to carry on the installation process on your 3DS by this time installing Input Redirection. You can grab it from GitHub here. Step 4: Now, head over to your Xbox One console. Open up the Store and search for UWPStreamer. Once found, install it on your Xbox. Also make sure both the Xbox and 3DS are connected to the same Wi-Fi network, and that the 3DS is setup with a static IP address. Step 5: On the 3DS itself, make sure that both NTR and Input Redirection are running. Step 6: Start the debugger on the Nintendo 3DS and then load up a game of your choice. This is obviously the game that you wish to play on the Xbox One. Step 7: Head on over to the Xbox now and launch the UWPStreamer app. When asked for the IP address, use the one from the Nintendo 3DS and set the Priority Factor to 1. Step 8: It’s also possible to adjust the Image Quality to your own preferences. The instant temptation will be to make the quality as high as possible, but remember that that means it will need to transfer more data across the network. The challenge is to get a decent quality/performance trade-off. Step 9: Change any other miscellaneous settings that may be relevant to you, and then select Connect in the UWPStreamer app. And there you have it, once you get past the part of installing some of the custom software onto the 3DS, the rest is relatively straightforward and will leave you with your 3DS games running on the Xbox One.